Generally, what profit can we expect to make? We are asked this question regularly. We have found that many clients/companies make in the region of £400. The average of the customer who completes our feedback form is £628. In order to maximise your profit, we suggest you plan well before hand. 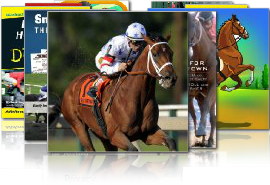 We recommend obtaining sponsors and owners for the horses and the races. Take a look at our website for further information.